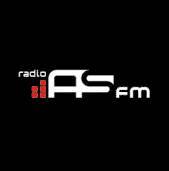 Radio AS FM is one of the most famous online radio station on Serbia. Radio AS FM is the provincial commercial radio, AS FM Radio in Serbia on a par with the most listened to national radio stations and has the largest media group in Serbia on the social network Facebook. AS FM proved to be a successful format to win the boredom and lack of information, anywhere and anytime. It is the goal of modern radio, such as FM Radio AS.